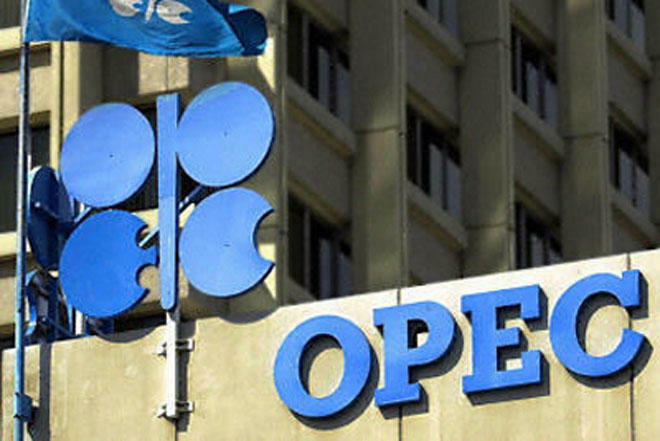 The Organization of the Petroleum Exporting Countries (OPEC) kept unchanged its forecast on the level of oil production in Azerbaijan. In its monthly Oil Market Report, the cartel forecasted that oil supply in the country will average 0.87 million barrels a day, unchanged from the previous report, indicating a minor growth in the volume of 10,000 of barrels per day in 2016. The report, which covers major issues affecting the world oil market and provides an outlook for crude oil market developments, indicated that Azerbaijan’s crude output decreased by 30,000 bd in August to average 0.86 mbd. Total oil production, which comprises crude and natural liquefied gas (NGL) stood at 0.87 mbd in the first half of 2016, the same as in the reported period of 2015, but higher by 20,000 bd than in the second half of 2015. The volume of oil production is expected to stand at 0.9 million barrels per day in the first quarter of 2017 and 0.8 million barrels per day in the second, third and fourth quarters of 2017 each. OPEC, which earlier agreed to modest production cuts for the first time in eight years, is now looking to secure the cooperation of non-OPEC members to help support oil prices and oust dominating oil glut in the market. The further action of non-OPEC states is essential for the market, as drop of supply by 0.5 million barrels is expected to be reached by means of output reductions in the countries outside the group. Azerbaijan’s Energy Minister Natig Aliyev previously told Reuters that the country will try to take into account an agreement reached between the cartel members to reduce production when calculating its 2017-2018 oil output. SOCAR’s President Rovnag Abdullayev also said that Azerbaijan was ready to support the decision to freeze oil output at a certain level should the deal adopted. Azerbaijan produced 41.69 million tons of oil and gas condensate in 2015, or 0.8 percent less than in 2014, according to Azerbaijan’s State Statistics Committee. The major part of oil produced in Azerbaijan, accounts for ACG block of oil and gas field, which lies 120km off the coast of Azerbaijan, and is considered to be the largest oilfield in the Azerbaijan sector of the Caspian Sea. The contract for the ACG development, with proven reserve of nearly 1 billion tons of oil, was signed in 1994. Azerbaijan's proven oil reserves amounted to 7 billion barrels at the end of 2015, according to BP's Statistical Review. The country exported some 17,973 million tons of oil in the first half of 2016, which is by 1.4 percent higher than the index fixed in 2015.